Cate: Please welcome Sonnet. Sonnet O’Dell, will you please share a short bio with us? Sonnet: Sure. My name is Sonnet O’Dell. I’m 26 and was born in Oxford, England in 1984. I spent my younger years there but moved to Cornwall and Devon over the next Six years before coming to live in Worcester where I am now. I love reading and movies – especially those about vampires and magic. 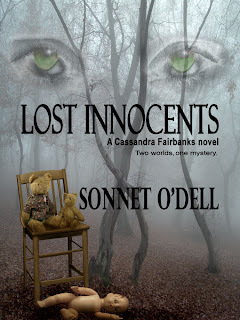 Sonnet: My latest book is Lost Innocents. It’s the second book in my Cassandra Farbanks series. It’s following the story of the young magic wielder as she tries to track down several missing children while juggling trying to gain a qualification at college, her boyfriend and the vampire in love with her. It’s available through Eternal Press, Amazon.com and Amazon.co.uk. I’m also working on getting it into my local Waterstones book store. “Are you all right?” His entire face was racked with concern. I reached over and patted his hand soothingly. “I appear to be completely fine. Relax. What were we talking about?” I hadn’t forgotten, but I was trying to find a polite way to get out of the Aram conversation. I didn’t think Magnus would be brave enough to bring it up twice. He wasn’t. “I suppose we could give it a try. It might be a bit haphazard with my situation and all.” He smiled at me; clearly he had been hoping for an answer in the positive. He reached into his pocket, rummaging around, and brought something out keeping the hand with it in his lap for the moment. I smiled at him and leaned my elbows on the table. Resting my chin on my fists, I gave an interested glance towards his lap. Magnus brought his hand up slowly, uncurling his fingers to show a little black jewelry box sitting in the palm of his hand. Suddenly I felt cold right down to my toes with fear. Sonnet: I like to think that Cassandra is a very realistic hero, she’s not completely straight laced and she struggles with right and wrong just like any person does. I think she’s funny, fairly sarcastic but level headed. She’s just trying to do the right thing. Sonnet: Effectively my character actually lives in two worlds and shifts between them. There is the nice normal world and the magical dark and dangerous one that she goes to at night. 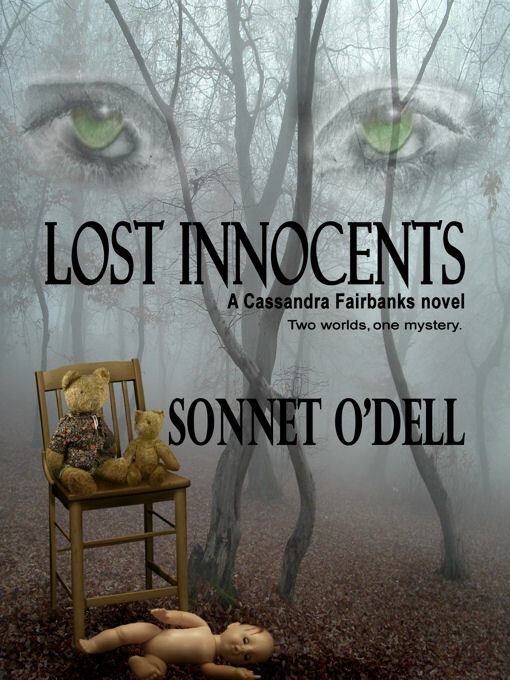 Sonnet: I’ve actually just submitted the third book in this series and am working on the fourth. 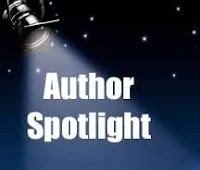 I have several other little novella projects on the go ranging from romance to sci-fi. I start many but finish very few of them. Sonnet: I was just lying on my bed one day listening to music or watching tv, I can’t remember which and something I heard just made me start thinking. I was doodling on a pad at the time and just started sketching out the rough character and world, then before I knew it the idea had gripped me and wouldn’t let go. Sonnet: I try to do a little each day. I have this book that says you’re supposed to write for two hours a day but I don’t always have that kind of time because you have to fit all the other little foibles into your day. Some days I do two hours, some days I do less and some days I do more. Sonnet: I have a website, www.sonnetodell.com, and I have been working on making a MySpace page too. Sonnet: I love to hear from readers although I have to say I don’t get as many emails or guest book entries as I would like. I want to know if people enjoy my work as much as I enjoy writing it. I guess I’m asking for people to get in touch more, tell me their opinion or just say hi. I love that cover! You should enter it in a cover contest. I enjoyed the excerpt and hope you sell a million. You are a new author to me!! Your series looks very interesting. I am going to check out your books!! I agree about this cover, it is very eye catching. I would pick this book up and read the blurbs due to the cover! !